One of the things I’m enjoying most about reading War and Peace is Tolstoy’s descriptions of his characters. It’s something the writer does well and clearly enjoyed doing. From hair color to the shape of his mouth, Dolokhov, like all Tolstoy’s characters, is drawn in vivid and precise strokes, making it impossible not to see him. 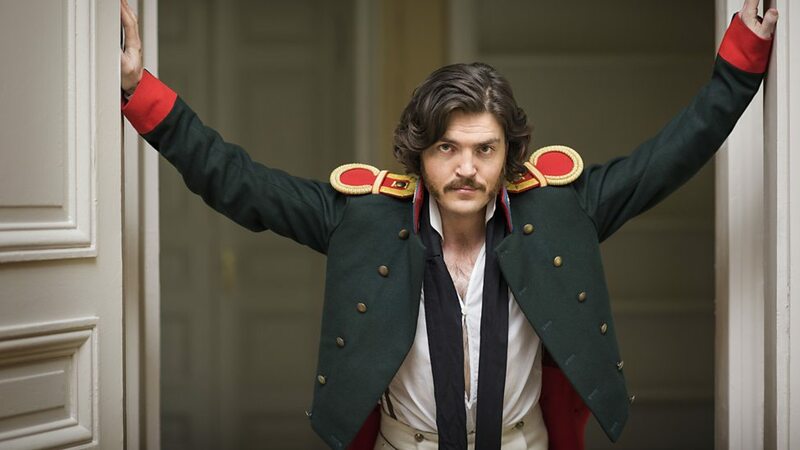 And yet, Tom Burke (The Musketeers), the actor who plays Dolokhov in the BBC production, is— physically at least—nothing like Tolstoy’s character. He appears here with a mustache. His eyes are the wrong color. And that very precisely described mouth? Burke was born with a ‘cleft lip,’ one of those natural imperfections that, in his case, make him all the more attractive. 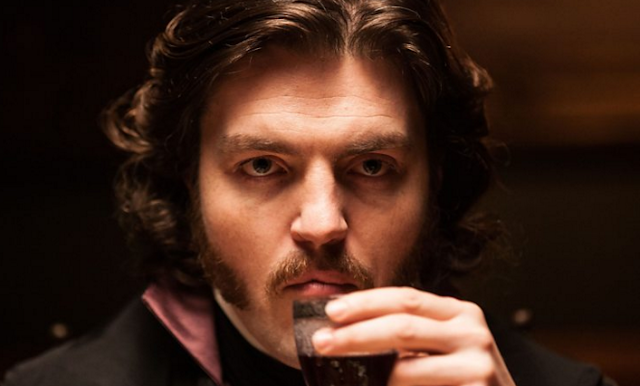 The ‘two distinct smiles’ and the ‘insolent intelligence’ of the look in his eyes are the attributes that Tom Burke brings to the fore and with them a self-assured cockiness that clearly show us a man who knows how to make his way in the world. Mustache or not, this is Dolokhov. 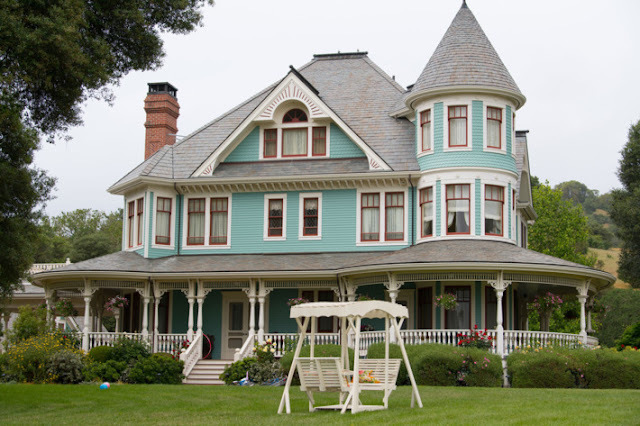 “It’s a gem of a part. I asked to go up for Dolokhov because he’s such a fascinating character. He’s vitally important when the Russians are at war because he helps win battles. He’s absolutely fearless – he simply runs at the enemy and hacks everyone to death! He has been described as a “soldier psychopath”. I don’t know what it is to be a psychopath, but Dolokhov clearly loves killing people, so arguably there are psychopathic tendencies in him. The moment he’s not fighting, he creates trouble. At one point, he is demoted from his rank because he’s tied a policeman to a bear. He’s chaos! His philosophy is, “Don’t get married – only have affairs with married women”. He’s a nemesis to both Pierre and Nikolai. He creates catastrophes that unravel people. You can read the balance of Burke’s interview with the BBC here. 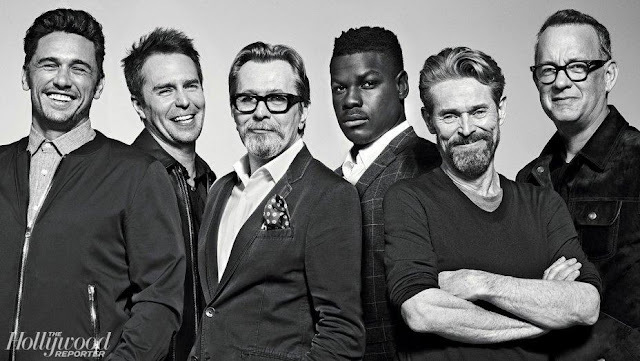 War and Peace has made its debut in the UK. Here in the states it arrives January 18th on Lifetime, the History Channel and A&E. Tolstoy took much of Dolokhov's character from his cousin-uncle Fyodor Tolstoy the American, who survived the war with Napoleon and changed dramatically in later life. A portrait of him still hangs in Tolstoy house in Moscow, now a museum.